At FS Construction Services, we always enjoy an opportunity to shout out friends, neighbors, and clients who have been doing a great job in their respective fields. This time, however, it is one of our very own who we are excited to give some much-deserved congratulations to: Brian “Boomer” Garleb, our Paint Services professional. 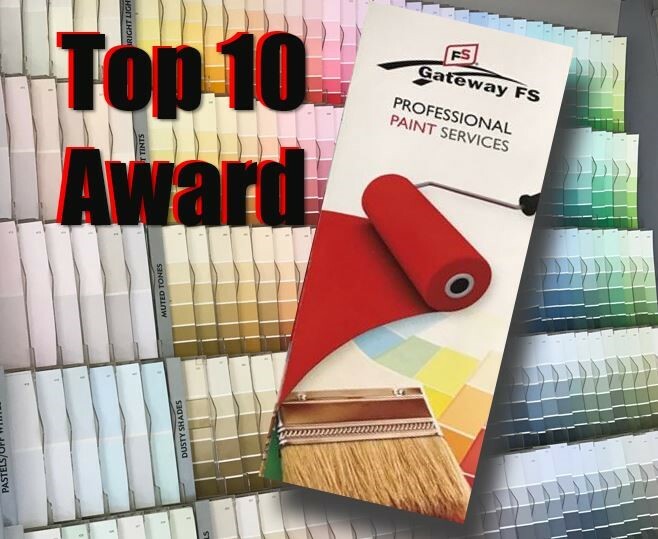 Recently, Gateway FS received the Top 10 Award for Outstanding Sales and Promotion of FS Quality Paints. Each year, Growmark presents this award to the top ten paint departments with the highest sales in the FS system. This award shows just how important Brian’s hard work and dedication have been to our team, and we were thrilled to accept it. Our paint services team is ready to provide answers and take on your project and we are happy to provide advice as well as a free estimate on your individual project. If you have a paint project that’s too big, too hard to reach, requires exact color matching, or just have a few questions about best paint practices, let Gateway FS Construction Services know. Give us a call at 866-551-3454, and let our specialists help you find exactly what you are looking for. We look forward to providing you the best customer service experience.